While Honeycomb already has a few good magazine readers, like Zinio for example, there isn't much in the area of newspaper readers. Enter PressReader for Honeycomb, a new app that brings over 1,800 different newspapers from 95 different countries to your Android tablet. 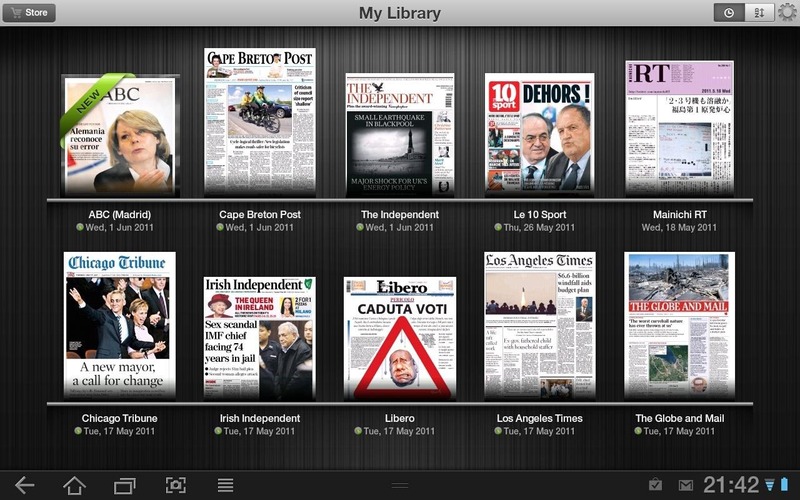 PressReader allows you to read your favorite newspaper in digital format while still retaining its printed appearance. You can set up automatic subscriptions, sort through publications by language and location, share articles, or even listen to your paper. 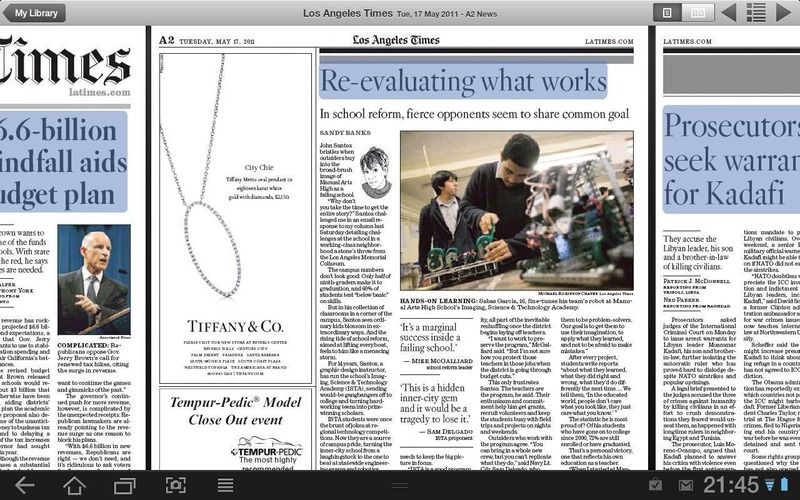 While reading, you can flip through pages in a natural manner, pan and zoom, or tap on a headline to see the article in its text-only formatting for easy readability. 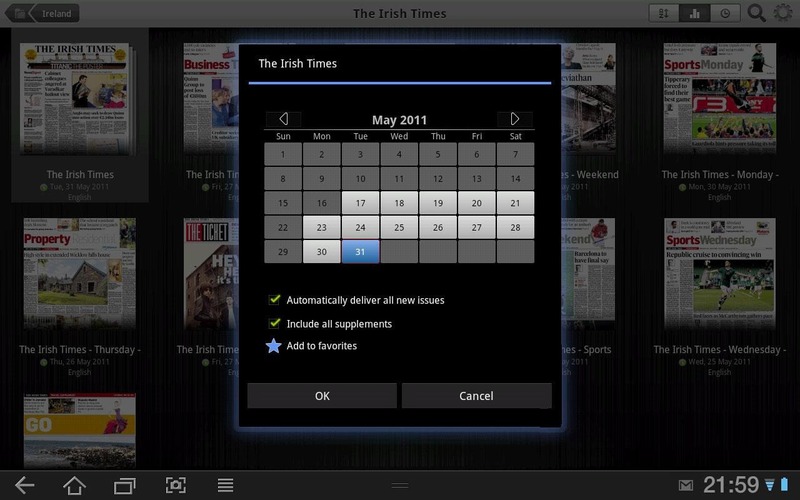 PressReader is free in the Android Market, and it comes with 7 free trial issues.